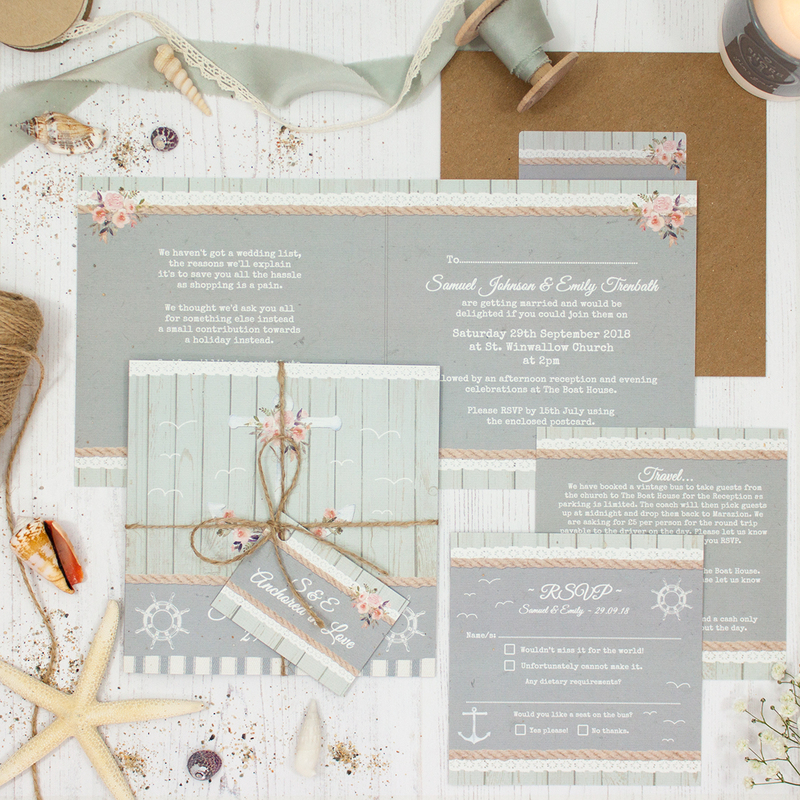 Wedding invitation sample pack including an RSVP, info card, string and tag, envelope and label in the Anchored in Love Collection design. Inspired by my life by the sea here in Cornwall. Layers of weathered wood, coastal stripes and fisherman’s rope with an anchor entwined with seaweed like flowers and a flock of gulls overhead. 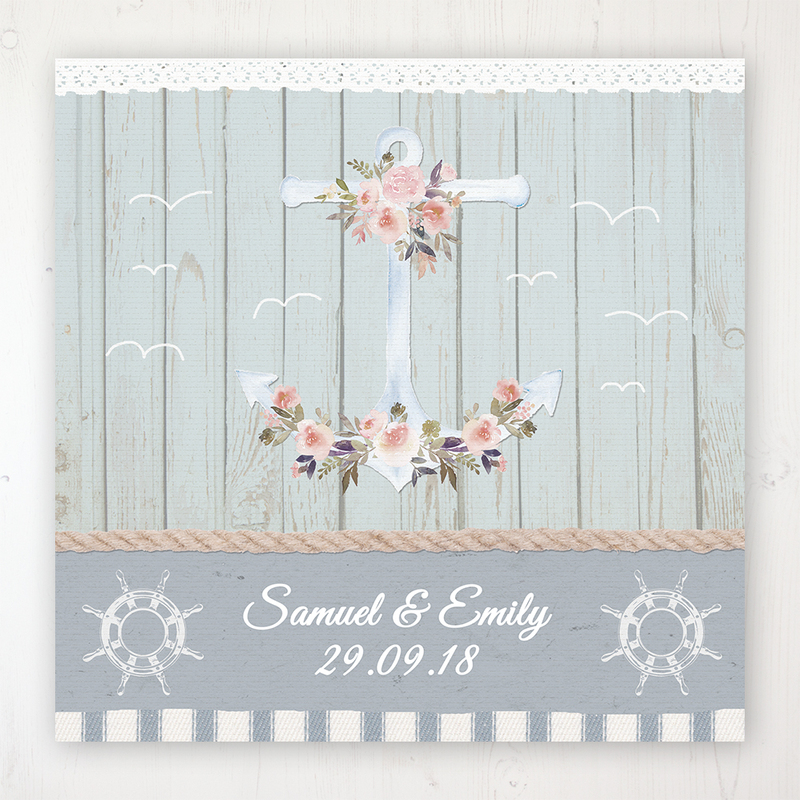 This collection is suited to couples getting married by the sea or that want to infuse their love of the seaside into their wedding day.